First, thank you to all who post here. I've been lurking for a few weeks and found a lot of useful information as a newbie to EVs. I'm considering buying a used 2016 or 2017 certified pre-owned SV and have a few questions. First a bit of background about my situation. I live in the Pacific NW, so very moderate climate. Primary use will be my 44 mile round-trip commute, almost all on highway. Secondary use will be a 75-mile trip several times a year, again, almost all on highway. I like to drive 60-70 MPH if possible. Assume no or limited access to L3 quick chargers. I plan to initially install an L2 charger, but won't have one for the first few months. My wife has an ICE vehicle that I should generally be able to borrow for longer trips - her commute is shorter than mine. 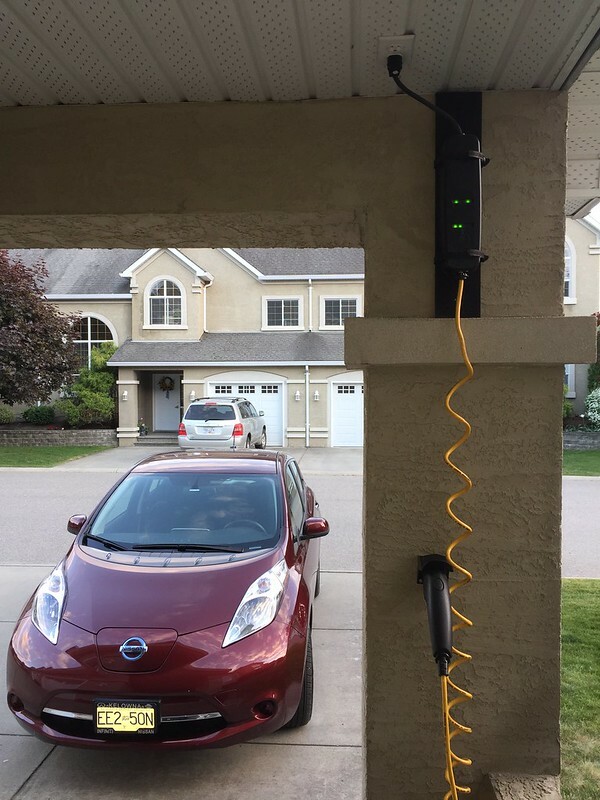 Will a 30kWh Leaf meet my needs? For how long? I assume that with a 10-12 hour L1 charge, I should be able to just about cover my daily commute, correct? Once I have L2 charging, is there a point at which capacity degradaion is so bad that I might not make my commute intermittently? Regularly? Should I expect to make my 75-mile secondary drive initially? When might that no longer be possible due to range? Will driving consistently at highway speeds reduce my battery capacity in the long run? Which of these models should I buy? My local dealer has many CPO Leafs. I picked several of the most promising '16/'17 SVs and ran LeafSPy Pro. I'm looking for help interpreting the results and advice on which of these vehicles to purchase. Any recommendations or red flags? I’m not very familiar with the LeafSpy numbers, but they seem to be reasonably close together. These CPOs come with 7 year/100k powertrain warranty from date-in service, so date in service is probably more important than mileage in that regard. 3. Or should I lease a new leaf? I've never contemplating leasing before, as I’ve always kept my cars for a long time. But given potential battery degradation and rapidly improving technology, I can see why it might make sense to lease in this environment. I’ve seen a few posts comparing buying new vs leasing new, but what about buying used vs leasing new? Nissan is currently offering a 36 month lease for $279/month, $3700 down. In total, it works out to a few thousand dollars less than buying used with financing. So assuming the used car would meet my needs or hold some value beyond the term of the lease, buying may be the best value. But that longer range is tempting! Any recommendations or other things I should consider here? I do the majority of my charging here although I have a 40 amp 240 volt Juicebox in the garage as well. (We are a two ev household). Works well. acc wrote: Will a 30kWh Leaf meet my needs? For how long? 1. Yes. It could be a problem in the cold, but it is April and the PNW doesn't usually get very cold even in winter. 2. No, at least not until after the battery warranty expires, or you are not far above the capacity warranty threshold and conditions are exceptionally poor for the PNW (snow, sub-freezing temperatures). 3. Yes, though you might need to stay closer to 60 MPH than 70 MPH if it is uphill at all or you want any climate control. Might be iffy in the winter rain when you need heat and airflow (or dehumidification) to be able to see out the windows, but probably OK if you slow down. At 60 MPH with climate control off you should be able to do it down to about 75-80% SOH. Avoid the 2016 with the early in service date. There have been an abnormal number of bad cells turning up in early 2016 Leafs. That one would also have the shortest warranty. I would go with the 2017 - I have a 2017 S and so far it's been trouble free. The later date also gives you more warranty coverage. I've seen posts about early 2016 battery issues so why take a chance? Thanks everyone for the advice. One follow-up question: how stain resistant is the interior? I agree the 2017 looks like the best bet, but it's the light grey interior. I generally don't care too much about colors, but between my clumsy self and my kids it might get pretty ugly! All else equal, would prefer the black interior. Simple - buy seat covers. I did this on both my Leafs and you can get any color/trim you want. joeriv wrote: Simple - buy seat covers. I did this on both my Leafs and you can get any color/trim you want. Yes, and unlike the '18+ Leafs with power driver's seat, you can get exact-fit seat covers.